Note: Prior to February 1, 2019, Advanced Degree Carpet Cleaning was known as Hot Steam Carpet Clean. The company has maintained the same ownership, same technicians and same commitment to delivering the best results possible. Only the company name has changed. Advanced Degree Carpet Cleaners did the best job of any others that I've used over the last 14 years at my Bethany Beach vacation property. Scott and his teammate explained the process and did a meticulous job of cleaning my carpets. I've used Stanley Steamer and another local firm in the past. Neither did as good a job or took as long to do the GREAT JOB as Advanced Degree Carpet Cleaners. Lastly, Mike - the owner of Advanced Degree Carpet Cleaners called the next day to ask if we were happy with the job. I'd recommend Advanced Degree Carpet Cleaners from now on! They arrived right on schedule, were very courteous and friendly, even to my dog! They worked efficiently and quickly yet took time to work on problem areas. They did a great job in answering my questions over the phone and gave written instructions to the staff based on my call. Impressive customer service. Technicians Dawn and Urie were very professional. I would highly recommend this company. Amazing experience all times. Owner and staff are 100% professional and courteous and committed to your satisfaction as a client, I recommend highly. We made a great choice in picking HOT STEAM CARPET CLEAN. We moved here in August, and alot of pet urine stains in almost all the rooms..it looked hideous! We called Hot Steam Carpet Clean and our carpets look almost new. The 2 young ladies, Dawn and Rose did a fantastic job. Professional, good humoured and very thorough. They explained the process every step of the way. In the future we will only call Hot Steam Carpet Clean for our carpets and will ask for Dawn and Rose. Wonderful young ladies to work with and Mike, their Boss, is a gem of a person and an "Angel in Disguise !" I can't put into words how impressive this company is. I was not even going to try and get the carpet cleaned. But after weighing my options I decided to give it a try. Mike and his employees are nothing but great. I was not expecting much luck but I was in for a major surprise. The old Berber carpet came out unbelievable!!!! I would tell anybody looking to get their carpet cleaned to call Hot Steam. They are nothing but the truth. Outstanding results from Mike's crew! The carpet was 13+ years old, and a light color and now looks brand new! I could not be more pleased with Hot Steam Carpet Clean, the crew was on time, professional and efficient. From my first inquiry with Mike the owner to the final finished product of 3 levels of sparkling clean carpet was a 5 star experience. I will definitely be a repeat customer. THANK YOU! This was my 1st time using Hot Steam Carpet Clean. I previously had the other company, with the yellow vans, clean my carpet. I can not express how much of a better job Hot Steam Carpet Clean did. My carpet looks like it is brand new again. The other company did an okay job, but my carpet always looked like it was dirty again within a week. Dawn and Rose arrived a head of schedule (they called first to make sure it was okay to come earlier) and they were very thorough and made sure I was 100% satisfied. Next time I need my carpet cleaned, I will request Dawn and Rose. Thank you for a JOB EXTREMELY WELL DONE !! The crew just left my home where they turned filthy stained carpets into beautiful clean carpets. This was no rush job. They took the time to pretreat and work with each stain until it cleaned up as well as the rest of the carpet. I'm very pleased. The results are far better than those yellow truck people. Scott and Rose came out today and cleaned our carpet and area rugs and I must say they did an AMAZING job!! Came when they said they would, were very polite and professional and I would highly recommend them for all your carpet cleaning needs!! The rugs look better than new!!! Thanks so much for a great job!!! Amazing job. Aaaaammmmmaaaazinnnng. We had pet stains and an old carpet and it looks brand new. At first I looked up Stanley Steamer not going to lie. Then when the results came up I noticed Hot Steam Carpet Clean creative and funny ad. I personally love a professional company that has the sense of humor and friendliness. So I gave them a call. I spoke to mike on the phone and he was very specific very detailed, knowledgeable, and gave me the facts. I purchased a small home that housed 7 cats spit was a nightmare. Mike gave me a game plan and ball park numbers which is always helpful and I was convinced this company would be the one to take care of my business. On such short notice they were able to come the very next day!! I was not present but my wife had called me millions of time telling me of their hard work. When I did arrive the young man and woman (wish I had caught their names) had showed me all they have done and my next steps to take. I was shocked the photos they gave me were outstanding. Night and day difference in only a couple of hours. I would recommend this company a million times over. Just a big thanks to the Hot Steam Carpet Clean Team!!! If your looking for the absolute best service this is YOUR goto company. Great customer service and great crew to work with! I recently contacted Hot Steam Carpet Clean to inquire about cleaning my carpet and linoleum kitchen floor. Mike promptly called me back and explain the entire process. A cleaning was scheduled for today. Hope and another lady (I'm sorry but I forgot her name) arrived and got right to work. I was very, very pleased with their professionalism and the outcome. I have had my carpet steam cleaned before by another business but Hot Steam Carpet Clean was so much more thorough and effective. They were very respectful and customer friendly, from the time of my first Contact until the completion of the job. I plan on using them again. Inexpensive, friendly, and oh so detailed. I used to use the guys in the yellow van. They are twice as expensive for a quarter of the quality. My carpets look brand new. The staff had a great sense of humor and the owner Mike is kind and has a great deal of integrity. Great experience. Showed up on time, fair price, and very thorough job. Mike (the owner) really cares about his customers satisfaction. This team was superior... on time, efficient and thorough....highly recommend! Hot Steam team was right on time and left my carpets looking terrific! They were thorough and did an especially good job on high traffic areas. I was impressed with their work and will definitely have them out again! Definitely a five star job. Casey and Kevin not only performed with excellence, they brought a great attitude with them.....Very positive, friendly and courteous. The guys just couldn't have done a better job all the way around. I'd recommend them in a heartbeat and intend to do so to my friends and neighbors and also to an organization I belong to called the Greater Lewes Community Village, which supports seniors staying in their homes as long as possible with the help of their volunteers and recommending good vendors for services. Wow. What a great experience dealing with Hot Steam Carpet Clean. They cleaned four bedrooms and two large area rugs. One Oriental and one Sisal. They got a bad stain out of the center of our great room rug. Courteous and hard working. Price was great. I will use them again. Great service! They pay attention to every detail. They are way better Stanley steamer.I have used them twice now. And the second time was better than the first time. Did a great job cleaning my sofa. 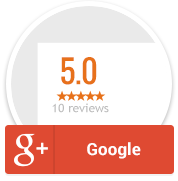 I was really happy with the service they provided -- would highly recommend! These guys are the best! Reasonable cost, excellent service! They really follow up and want you to be satisfied. When we noted that an odor wasn't quite gone after cleaning, they came back several times to keep trying, and finally got it. I really appreciated that they took the time to explain their process and how we might be able to take better care of the carpet going forward. Thanks! Fantastic carpet cleaning company. My carpets were dark and had old rusty stains all over. These guys got them out and had the carpet looking new in less than an hour. On time and very professional. Would highly recommend. Great service and their system really works! Couldn't be happier. Totally professional. Would highly recommend. Carpets looked great! They did a fantastic job! Made my carpet look brand new. Very thorough and even moved furniture and didn't just go around it. Will only call Mike Dunmyer's team for cleaning and, God forbid, clean-up. Had two 10x12 Chinese Rugs and three levels of stairs cleaned. Second time was to get large stain out of carpet caused by spilled makeup that our 3 year old grandchild smeared. Just had my sofas and carpets cleaned by Hot Steam today and must say it was worth every penny. I've had my carpets cleaned several times in the past by other companies and they've never looked this good. They look better than the day we moved in over 3 years ago. I hired Hot Steam Carpet Clean to do the carpet cleaning in a rental house that I just moved out of (as per the lease agreement) and of course as usual I waited until last minute to call for an appointment. Because I'm the worst ever. There were not any appointment times available for the crew to come out and do the job before I had to turn in my keys, but after expressing concern over losing my security deposit the owner himself, Mike Dunmyer, came out alone (in a storm) to get the job done for me. What?! I have to repeat that, the OWNER HIMSELF came out to save my security deposit in a severe storm because his crews were entirely booked out! Talk about customer service, theirs is far superior to any other carpet cleaning service I have ever used. The next day when I went to assess the job with the property management company we were both left speechless. The floors had some damage done by the tenant previous to me who had a terrible dog; Mike even got those 4 year old stains out. The carpets looked better than when I initially moved in. Literally they looked brand freaking new, like we almost questioned if he had actually just replaced them instead of cleaning them. It was incredible. The property manager actually ended up asking for his information in the event that she may need his services for any of her other rentals, and I was happy to provide her with it. I hope she does call him again, I can see him saving her a lot of money from having to replace badly soiled carpets. I mean seriously, they looked better than brand new. I had heard Hot Steam Carpet Clean was good, but I couldn't have imagined anyone could be that good. Definitely an ELITE company that I cannot recommend enough. Love this company. They provide great, reliable, friendly service and are always prompt. Would recommend them to anybody. Great service, showed up on time and did a fantastic job on our carpet. Scott was very courteous and knowledgeable. Would definitely recommend their services. Looks and smells great guys thanks for awesome service. definitely will be calling again and recommending y'all! If you want it done perfectly, this is the company you need. "Mike Dunmeyer is a Carpet Cleaning Magician! He got dried spilled BLACK paint out of my brand new carpet in my Studio. I was very impressed." I've had carpets cleaned several times by different services, but Hot Steam Carpet Clean has blown me away! This is old carpet that has weathered a toddler, two large old dogs and several wine spills. It looks better than when we bought the house! Not only does the carpet look amazing, the staff was polite and courteous and all of our furniture was moved and then returned to its place with risers underneath for air circulation. For the quality of work that was done, I would have happily paid twice as much. I just wish that I had taken before pics so that everyone could appreciate the difference. I highly recommend! Great service! I highly recommend Hot Steam. My ageing carpet had some tough problems, but these guys went straight to work and made my carpet look new again. They explained the process, got it done in a jiffy, and I couldn't be happier! Results are much better than any other carpet service I've tried. I'll definitely have them back! My wife and I were expecting new furniture on Friday. Decided on Wed night to see if we could find a company to clean two 10x13 rugs and 6x5 rug on Thursday. Found Mike on Yelp, sent a message and he worked us in for Thursday afternoon. Less than 24 hours from initial contact. His guys, Scott & Casey were very pleasant, professional and did an excellent job. So much so we asked them to try to clean an old makeup stain, 2x3, in the carpet that we had made worse trying to clean for months. Not only did Casey make it disappear, he cleaned another dark stain without us asking. One that Stanley Steamer was unable to remove a year ago. Bottom line, great job and very reasonable price. We would recommend Mike and his team to anyone! - Bill & Jill R.
Mark & Casey of Hot Steam Carpet Clean. Thank you for such a great job on our waiting room carpet and sofa! On-time, courteous. professional and WOW..what a difference! Well Done! As the son of carpet cleaning business in Northern NJ, I have to say I am very impressed with the attention to detail Mike and his crew give to every job. From upholstery cleaning of my twill white sofas to the cream carpets in my children's room, everything HOT Steam cleans returns to NEW! These guys continue to impress each time I use and refer them. Top notch all around. Save thousand$ and have them clean it! What a professional group of people. They came when they said they would come, finished when they said they would be finished. I had carpet and a couple of couches cleaned with excellent results in both. I had an especially difficult odor problem from animals that had lived on the premises before I took over. There is not a trace of it left and I had the carpets cleaned twice before. I would recommend Hot Steam Carpet Clean for anyone needing the service. We've used hot steam several times, super nice, honest and hard working and the results are astonishing! If you have kids or pets keep them on speed dial!! I just had my carpets cleaned by Hot Steam carpet clean and I could not be more pleased. They guys were very professional and did a fantastic job. My carpets are not very good and they have brought life back to them. I highly recommend them. We recently used Hot Steam to clean two highly traffic areas in our house and they did an outstanding job. The kids loving spilling everything and it was no problem for Hot Steam to make it look brand new. Nothing against Stanley cleaners but I used them last time before I knew about hot steam and now hot steam has my business. Very professional crew, honest pricing, can't say enough! We had these people clean our office carpets one day. We closed up, walked out, and came back the next day to a clean floor. We have 4 dogs wandering the office, and they got all signs of animal life out of our carpets for us. We'll have them back again next year to clear out the allergens and spots again. Personable staff, clean and methodical in the service call to get the carpets clean. Great job! Casey and Zack professionally steam cleaned my carpets @ my Dewey Beach, Delaware beach house today. They were friendly, informative, efficient, knowledgable about cleaning my carpets. I even gave them a small tip for making my old carpets look brand new. I will continue to do business with Hot Steam Carpet Clean as the owner (Mike Dunmyer) came by to introduce me to these guys. I give them 5 stars for their excellent work. Casey and [Zac] were very polite and professional. They arrived on time and listened to the concerns we had with our carpeting. Casey and [Zac] worked hard on the areas we asked them to focus on. They just drove away but the carpets look much better than when they arrived! Thanks Mike for getting them here so quickly! Very pleased with Hot Steam Carpet Clean, thanks! Outstanding experience twice with this business. They are prompt, professional and courteous. The technician (Casey Jensen) is an asset. We really appreciate a local business that understands quality customer service and how to deliver on it. We look forward to continued great service from Lewes Hot Steam Carpet Clean! I can't speak highly enough about my experience with Hot Steam Carpet Clean. We rented a condo unit in Rehoboth and when we arrived the state of the carpet was so bad we simply could not stay there. The rental agent sent Mike, owner of Hot Steam Carpet Clean who arrived promptly and was simply remarkable. Even though we did not own the property, he listened patiently to what we were experiencing and quickly went to work to remedy the problem. We are now spending the rest of our vacation walking barefoot on the carpet and enjoying the rest of our vacation. Thanks Mike! Very professional job and attention to detail. The rooms we had done look great! We'll use Mike's team next time around, too. Ours was the first boat that Mike did!!! He did an outstanding job, and we will recommend him to everyone we know!!!! Next week he is doing the carpets at our home! The whole experience was so impressive. Mike quoted me a very fair price. He set up a time at my convenience. Mike and an assistant arrived on time. I have a commercial store with a lot of foot traffic. The process removed carpet marks I thought were there forever. I arrived after an evening meal and found the job done and the floor drying. We were open for business at 8:30 in the morning. Hot Steam Carpet Clean showed up exactly like promised and performed exactly like I expected them to do. Did a walk through with the owner and it was nice that the owner was actually present to speak with me and assure me that I could leave my home and my house would be taken care of while the rugs were being cared for. When I returned home, my rugs were beautiful, the chemicals used were not overbearing. It was a pleasant orange odor and the rugs were almost dry a few hours later. Woke up the next day and was so glad I treated myself to Hot Steam Carpet Cleaning. The employees were so careful and kind and working hard not to be an inconvenience. Absolutely the best carpet cleaning service in this area. Treat yourself and you will see what I mean. Mike was amazing from start to finish. He gave us a professional estimate, that we thought was very fair. Two employees were out sick the day we were scheduled for cleaning, so he did the job himself. The actual cleaning far exceeded our expectations. The time and attention to detail were amazing. Our carpets truly look new!!! I would HIGHLY recommend this business and Mike to anyone! Trustworthy, dependable, excellent service! WOW! What a great job Mike & his helper did on our carpet. He went out of the way (over 40-miles) to come to our home, and he preformed magic on old pet stains, and the ground-in dirty high traffic areas. We were almost ready to spend thousands to replace our 10-year old Berber carpet, until I found Mikes web site. Our carpet looks & smells like new again. HIGHLY RECOMMENDED. Thanks Mike. THE ALL CAPS IS ON PURPOSE THIS IS THE HAGAN DAZ OF CARPET CLEANING IN THE LEWES / REHOBOTH BEACH AREA.PROMPT INITIAL CONTACT, ALL APPOINTMENTS AND FOLLOW UPS MADE EXACTLY AS PROMISED. MIKE'S WORK IS OVER THE TOP .HIS PROFESSIONALISM AND ATTENTION TO DETAIL ARE EXTRAORDINARY. MIKE 'GETS IT" LIKE FEW PEOPLE DO. I CAN TELL YOU NOW IT IS A FEW PENNYS MORE THAN OTHERS BUT I CAN ALSO TELL YOU IT IS WELL WORTH EVERY PENNY. YOUR PARENTS TOLD YOU THAT YOU GET WHAT YOU PAY FOR. IN THIS CASE, YOU GET MORE. GET IT DONE RIGHT THE FIRST TIME.HIRE HOT STEAM CARPET CLEANING . I highly recommend 'Hot Steam Carpet Clean' to take great care of your carpets ! I hired Mike Dunmyer (owner) to clean my beach house carpets early May '14. I have over 1,500 square feet of carpet and he gave me an amazing low price. Then, 3 weeks later (May 21st) I needed him to come back on short notice and re-steam clean all of my carpets again, BECAUSE I ACCIDENTLY RENTED MY PLACE TO SOME COLLEGE YAHOO'S AND THEY TRACKED TOO MUCH SAND INTO MY HOUSE IN DEWEY BEACH. There was red wine and pepsi all over my living room carpet. Mike was eager to do this lengthy job again and offered me a cheaper price (2nd time around). He explains the work he does to me, he's thorough, he's very professional, and he's fair, and is a very friendly. I will DEFINITELY hire 'Hot Steam Carpet Cleaning' again next year to clean my carpets. I would give him an 'A+' for his carpet cleaning ability. I had my Condo carpets cleaned last week and I was so pleased with the professionalism of the company owner, Mike, that I wanted to write a review. First, Mike gave me an immediate appointment at my convenience. Then he showed up on time which is amazing for most companies. The quality of the carpet cleaning was exceptional. He was able to completely remove a stain that I tried to remove for a long time. My carpets look as if they are new. The pricing was very reasonable. Thanks Mike for a job very well done, I will highly recommend you to my neighbors and friends. You are a magician in removing carpet stains. Had a emergency pet accident today..
Called Mike and He was over within an hour.. Excellent service.. Thanks so much!!! Mike came in and cleaned a sofa, overstuffed chair, and an ottoman that were 10 years old and in a home with 4 dogs and 2 cats. Excellent job. Nothing is going to make them look like new, I knew going in; but, they were noticeably cleaner and smelled a whole lot better. Great job and worth every penny! Since the begining this company was expierenced and professional. They cleaned my carpets and they look & smell great! And they cleaned my sofa which had urine from my baby and it was defiantly a project to get the smell out; and its gone! I will defiantly use them again and the price is fair. All charges were discussed on the phone and no hidden charges were added when they were there. Mike steamed my carpet today and I am very pleased with the results! I hadn't had it done since Luca (my puppy) arrived…He's now 2! Along with the occasional other guest dogs, the carpet had taken a beating! It now smells so nice and was dry in nearly 1 hour, I highly recommend this service. Was also affordable! I used these guys a few months back and would use them again. Showed up on time and very friendly. Not to mention they did a great job. Showed up on time and did a wonderful job. Smells great! Would use again. This was my best carpet cleaning experience yet. Don was prompt and professional, and the carpets looked gorgeous when he left. I'll definitely use him again the next time around. Great job. Showed up on time and our carpets looked and smelled great. My pet stains were removed and I will use Hot Stream Carpet Cleaning again. Hot Steam Carpet Clean did an excellent job in a timely manner, cleaned rugs and sofa, house smells great, all look like new, guys arrived early - what a surprise, were courteous and friendly. Great, friendly service! Carpet looks fabulous! I found this company to be top notch and extremely professional and very thorough. I happen to see the truck and obtained a business card. That afternoon I called and they came over in 2 hours and did a fantastic job. The carpets look and feel brand new. This company is the best. thank you and see you soon to clean the tile. They were polite, on time, incredibly thorough, and very affordable. I couldn't have gone with a better company. I have 2 dogs, one old and one a puppy, and 2 young kids. My carpets had seen it all plus some - we had pet stains, spills, even hot glue and nail polish stains!. Hot Steam brought them back better than I could have ever hoped for and they smelled wonderful. We will definitely make having our carpets cleaned by Hot Steam an annual must do. Great results and a very good value. They were excellent, they came on time. They were prompt, professional, courteous and the carpet looked outstanding. The price was great.